You can configure hot keys to allow you to perform all of Stay’s main functions without having to use the mouse. 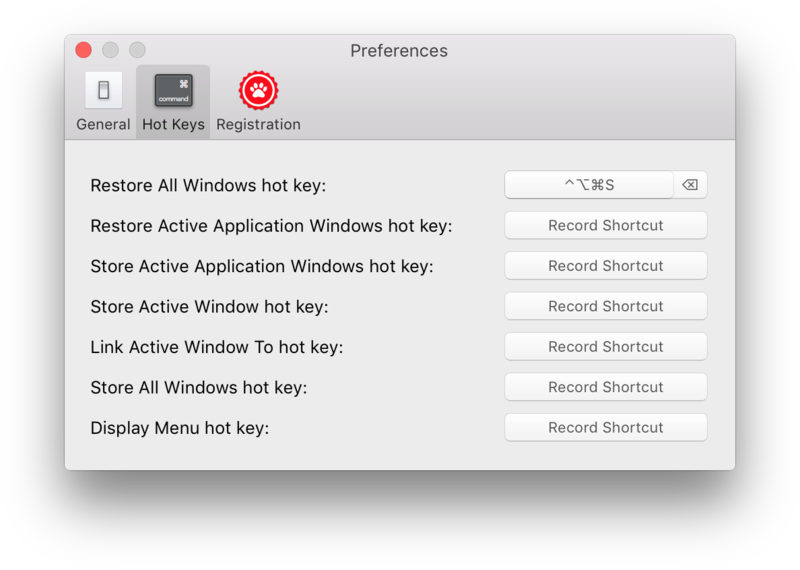 Stay’s Hot Keys Preferences window is shown below. Restores all windows to their stored positions. Stores all of the active application’s windows. Stores only the active window. Displays the window linking interface, allowing the active window to be linked to a previously stored window. Stores all windows in all running applications. Displays Stay’s menu at the current cursor location. This is primarily intended to be used in conjunction with the Hide Menu Icon preference.